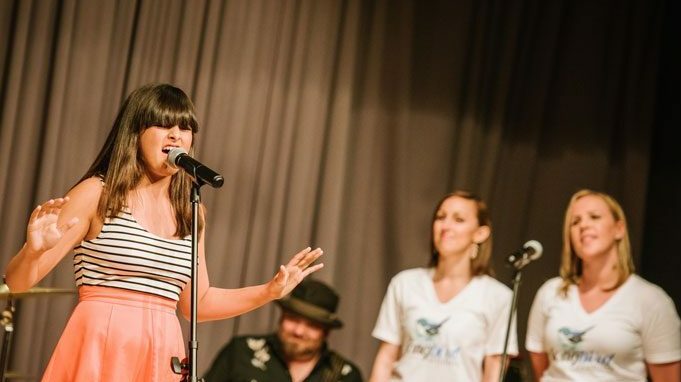 Songbird Studios works with aspiring and professional singers of all ages and abilities. Calling all San Francisco Bay Area singers! Work one-on-one with a vocal coach who tailors each voice lesson to your individual skill set and vocal goals. Students are thoughtfully paired with talented and knowledgeable vocal coaches who can best help them develop as a singer. 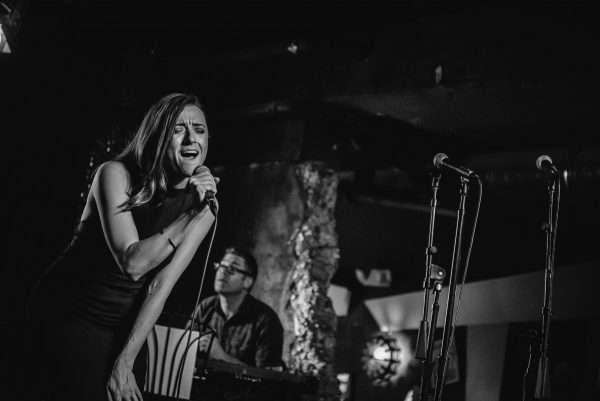 Songbird vocal coaches are experts in teaching contemporary voice—pop, soul, R&B, country, rock, folk—as well as more traditional styles of singing, including classical, jazz and musical theater. No matter what your singing level, Songbird fosters a community of like-minded artists for endless inspiration and collaboration! The fun stuff—Applying what you’re working on to your favorite songs! Your first voice lesson can be nerve-racking, especially if you’ve never sang in front of another person before. To help put you at ease, here’s an overview of what you can expect at your first lesson with Songbird, regardless of your experience. We’ll discuss your options for lessons going forward, and schedule a regular lesson time! All Songbird students work on a membership basis to maintain a consistent cadence and constant progress with their vocal practice. This means students commit to regularly scheduled lessons, and are charged on the first of each month. Memberships start at $125 per month. Lessons are thirty or sixty minutes long, are weekly or biweekly, and take place at either of Songbird’s two San Francisco studios—Whatever works for your schedule. In addition, students receive audio recordings of each lesson for at-home practicing! Feel free to check out our policies for more details! Do you work with beginners? No, really—I have no experience whatsoever. I think I might be tone deaf. I want to learn how to write songs and accompany myself on the piano or guitar. Can Songbird Studios help? Can I buy single voice lessons? Or do I have to get a monthly membership? I can't make my regularly scheduled lesson. What should I do? My lesson falls on a holiday, what happens now? My teacher had to cancel my lesson. What happens now? I'm moving/traveling/taking time off and need to put my lessons on hold. What should I do? I'm sick! Should I still come to my lesson? How do I sign up for *insert awesome event here*? I'm a Songbird student. How do I get a discount on the next workshop, group class, performance showcase, open mic night, or summer camp? Does Songbird take cash or check? At Songbird Studios, we don’t believe in the phrase “tone deaf.” We work with singers of ALL levels and feel that everyone can benefit from a good dose of singing. Try a complimentary intro lesson and see for yourself! You bet! Many of our vocal coaches play various instruments and are established songwriters and professional performers in their own right. If you’re a current student, you can discuss options with your vocal coach. If you’re new to Songbird, let us know that you’re interested in songwriting/learning an instrument when you fill out the contact form, or during one of your lessons. After your first intro lesson (which is free of charge), all Songbird students operate on a membership basis for one-on-one voice lessons. We do this so that students can achieve consistent and continued progress with their vocals. Contact us directly for more information, or to sign up for your first lesson. No problem! Just let us know via email (voice (at) songbirdsf.com) and then register for one of our weekly makeup classes held on Sundays from 3pm-4pm. Our studio is closed on major holidays. If your lesson falls on one of these dates, you can makeup by attending one of our weekly makeup lessons. If the holiday is not listed here, you will still have your regularly scheduled lesson. In the rare case a teacher needs to cancel a lesson, due to illness or emergency, we will do our absolute best to bring in a highly qualified substitute teacher! If a sub is not available, we will add a teaching day so you can come in to make up your one-on-one lesson. If you are unable to attend our additional day, you can makeup by attending one of our weekly makeup classes. Changes to Memberships must be done at least 15 days prior to the first of the next month. This can only be done online by filling out this form. Changes and/or cancellations communicated by phone or in person are not acceptable. If necessary, a $90 expedited processing fee may be paid to cancel any membership effective immediately. If you have lengthy travel plans, school attendance, etc. that makes coming to lessons for a temporary amount of time difficult. If you are sure of your return date, and it’s a short amount of time (1-2 months for example) we can attempt to hold your time slot for you, though we can’t guarantee it. If you know you have major schedule changes coming up, please be sure to discuss them with your vocal coach or our studio assistant. If you’re sick and contagious, please stay home and rest! Email us to let us know and then register for one of our upcoming makeup classes. Find the event that you’re interested in on the event calendar, and log in or create an account to register. If you have any questions or run into technical issues, you can always email or call Songbird so that we can assist you. Check your email! All Songbird students get regular emails with discount codes that you can use during online registration. If you can’t find the appropriate code, you can always email or call us so that we can assist you. Songbird does not accept cash or check payments for membership fees—All transactions are done with credit or debit cards. When students first join Songbird, they sign up with a credit or debit card. That information is securely stored within our system and you are charged automatically on the 1st of each month for your membership. This same credit or debit card can also be used when registering for an event online. I'm a musician (electric bass) with no previous vocal training and while my bass-playing is proficient, my singing had always been merely mediocre ... until I started taking lessons at Songbird. Christina is teaching me to understand the physical dynamics of my ``instrument`` (the voice box) and how best to use this knowledge to my advantage -- and the results are impressive.